As if the city did not have enough that the mesmerizing river took its course through the city to bless it with a little more natural beauty. The river Lagan is popular for the foot bridge across it from where you can enjoy spectacular views of the city. To one side you have the magnificent building adding to the charm of its surroundings while on the other you have a commendable fish sculpture. If you're lucky you'll see birds swimming under the clean river water. 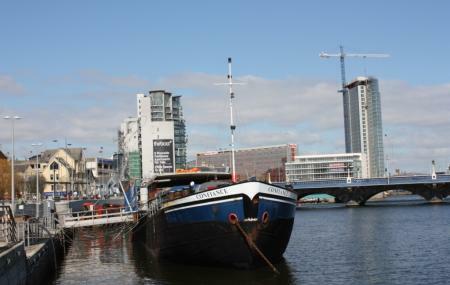 You could also opt for a river cruise that'll take you across while beautiful Belfast surrounds you. How popular is River Lagan? People normally club together St. Nicholas Church and St. Colman's Church while planning their visit to River Lagan.